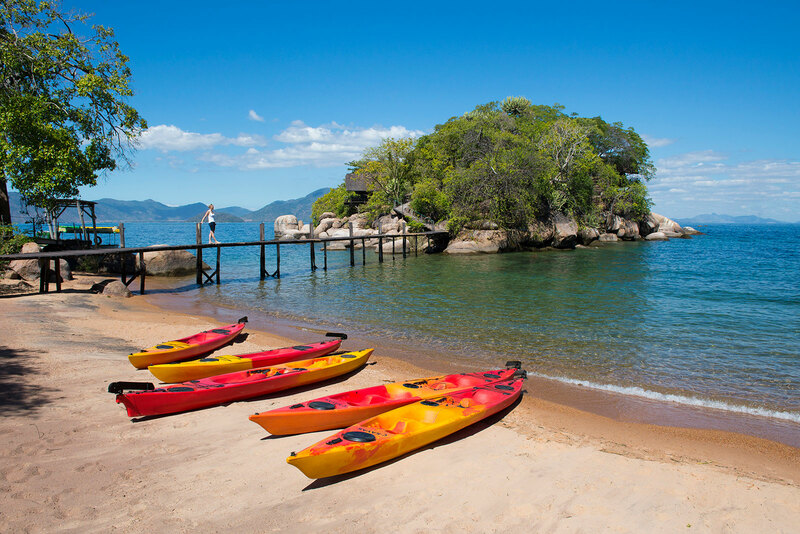 Kayak Africa is an adventure-safari operator specialising in sea kayak and small boat safaris on Lake Malawi, and hike-bike-kayak safaris around Southern Malawi. 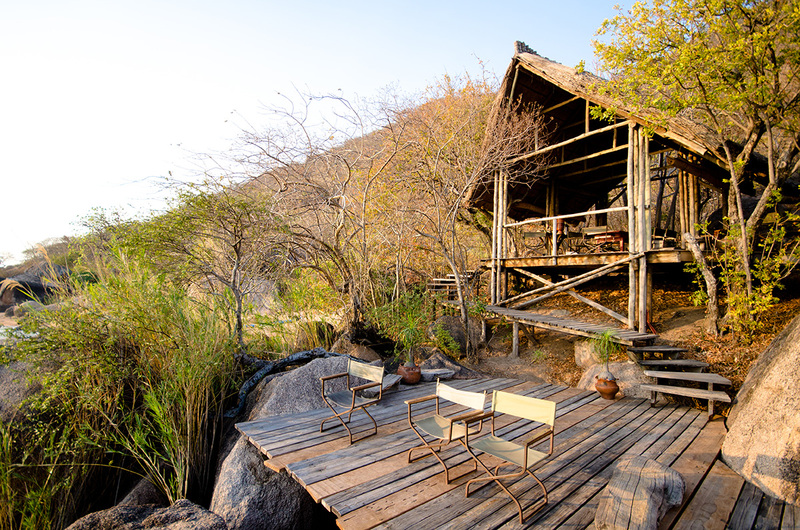 Our reception looks out over Lake Malawi from the beach at Cape Maclear, and our tour operator division in Cape Town can help you get there. 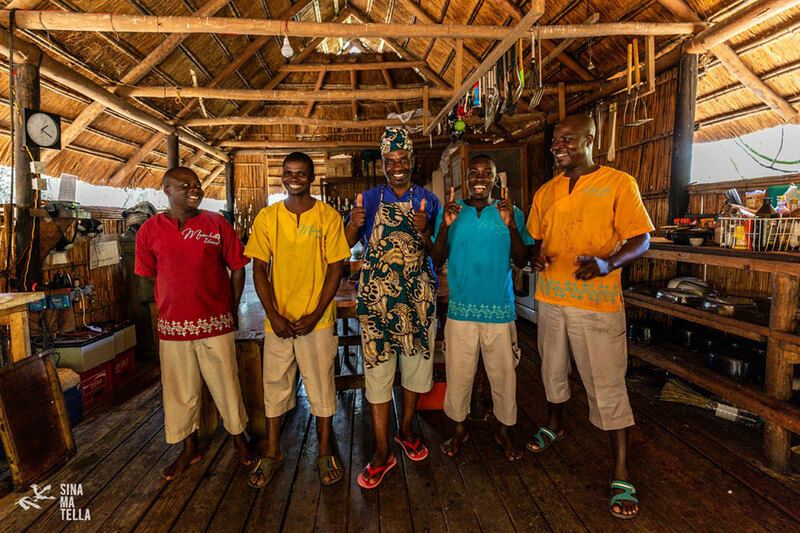 Kayak Africa were first awarded the concession to both Mumbo and Domwe islands in 1996 and have maintained a presence since that time, building and operating the two eco lodges on the islands and running overseeing all aspects of this small tourism business from bookings to camp maintenance. Kayak Africa is led by directors Jurie Schoeman, Clive Bester and Joseph Kamanje. Jurie and Clive are both founding members of the company, and are originally from South Africa. Joe is a member of the family upon whose customary land the Kayak Africa basecamp at Cape Maclear is located. Joseph first worked at Kayak Africa during his school holidays nearly 20 years ago, and since that time he has served as a kayak guide, boatman, chef and driver. Today he is hands-on and in charge as the General Manager. Kayak Africa is proud to have filled all the management positions within the Malawi side of the company internally, through the training, development and promotion of its long-serving Malawian staff members. Joseph (again!) is the Guest Ops Manager, ably-assisted by Edward Stefano as Head Guide and Island Ops Manager; Sutha Tande as Stores Manager; and Franklyn Nyirende as Personnel Manager. 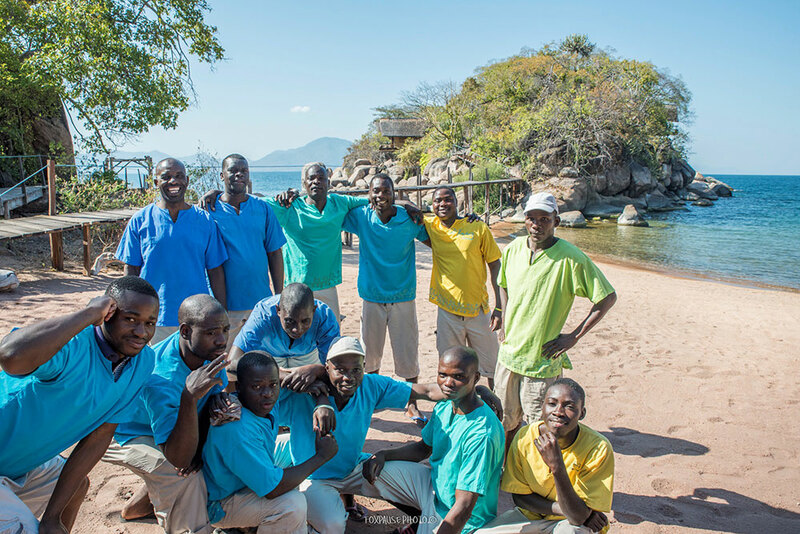 All these guys have been with Kayak Africa for about twenty years, and all are local Cape Maclear residents. Under them are a staff contingent of nearly sixty local men and women who work as chefs, guides, boatmen, barmen, laundry ladies, gardeners, drivers, carpenters and builders. 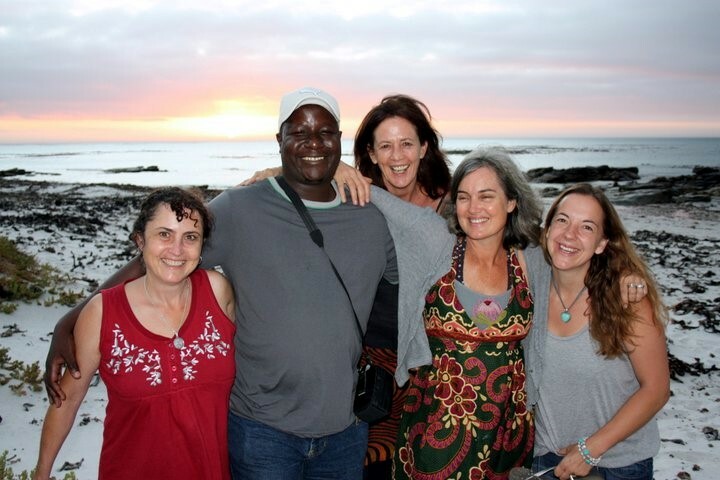 In addition to the team in Malawi who will look after you on the islands, Kayak Africa also has a travel agency and marketing department based in Cape Town, South Africa. Here a small but focussed team works hard at communicating the company’s message to the outside world; and at helping you get to this very remote and very special place. Bee Roux is our Reservations Manager, assisted by travel consultants Cara Kapp and Theresa Slater. If you have ever booked a Malawi trip through us you will no doubt have experienced their quick, efficient and friendly trip-planning expertise – a vital component of any successful holiday! Tracey, Clive’s wife, is responsible for the creative aspect of the company: including all marketing and design work; social media and websites; designing the new staff uniforms and the interior décor of the lodge – keeping it local, minimalist and yet beautiful. 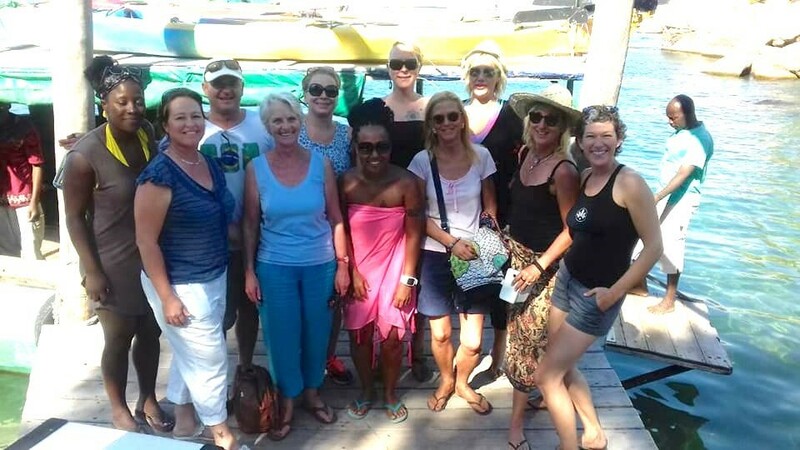 Renee Watson, Jurie’s wife, is a master Pilates instructor and masseuse and now runs Pilates classes in the Cape Maclear village and Pilates retreats on Mumbo and Domwe. Her health and wellness skills have brought a lovely new dimension to the company. Kayak Africa were first awarded the concession to both Mumbo and Domwe islands in 1996 and have operated the camps on the islands since that time. The islands are remarkable in that they have been lying like jewels in the turquoise waters of Lake Malawi almost forever and yet have never been populated. Both islands are almost completely unspoilt and look the same today as they always have, apart from an eco-friendly camp on each, constructed to cause minimal impact on the environment. Kayak Africa began as a tiny company, run by two young couples in their twenties: Pierre Bester (recently qualified as a lawyer, but never to practise) and his girlfriend Marzi Callender (a graphic designer), and another couple who lasted less than a year. 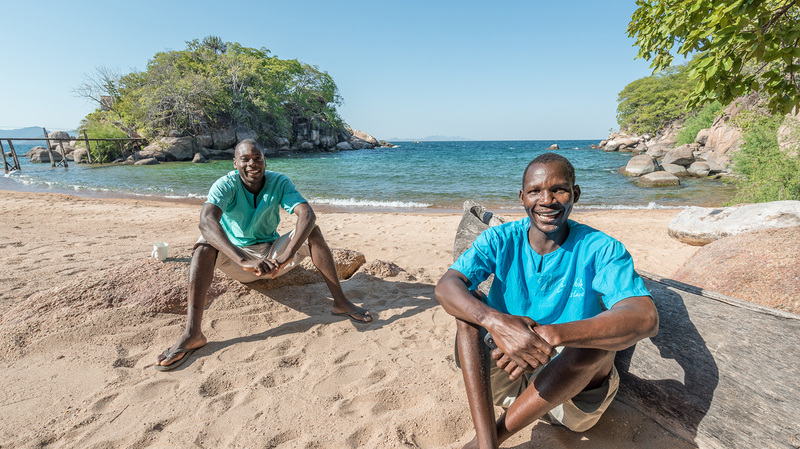 Pierre and Marzi rented land on the mainland of Cape Maclear from the Mododhi family (ten members of this family are presently employed by Kayak Africa), set up a tent under the tamarind tree and began the incredibly hard slog of starting something from nothing. In 1996 they were awarded the exclusive concession to operate tourist camps on the two islands, Mumbo and Domwe for the next ten years. 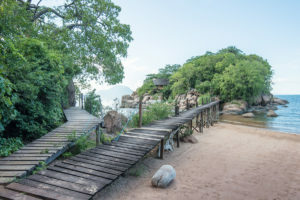 There were no telecommunications in Chembe Village at the time, so they made a deal with the owner of the petrol station on the corner of the Cape Maclear and Monkey Bay roads, put a fax machine there and made regular runs to go and check whether a rare guest was going to turn up. At this point they realised they needed a partner out in the ‘real world’ and Clive Bester, Pierre’s brother joined the team. Clive holds a BSc in Statistics, but made money doing rope-access window cleaning on skyscrapers in Johannesburg to help fund the operation as he began the process of marketing a tiny island in the middle of a lake in the middle of Africa to the rest of the world. In those days, guests kayaked out to the islands with a guide (boating across was not yet an option) and slept in dome tents with mattresses on the ground. It was basic, but comfortable and there was always a chef who whipped up great food in the tiny reed kitchen. 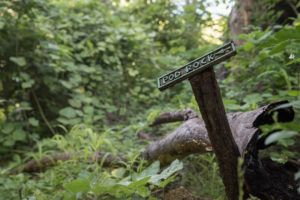 In the first few years, visitors were few and far between and often people would be delighted to find they had a whole island to themselves, apart from the friendly staff that attended their needs. Over the years, Kayak Africa ploughed any money it made back into the business. Slowly, they added small luxuries as they could afford them, and spent every rainy season during the time when the camp is closed for a month, to build and beautify the camp – now proudly sometimes called a lodge! Mumbo today has permanent walk-in tents on thatched decks overlooking the lake, a beautiful dining area on the main island, a new thatched lounge area, a family tent hidden in the forest, a beach shower and loos, and every guest has the joy of a thatched and reed bathroom en suite. There are beach loungers on the sandy shoreline for those who need to relax; a fleet of kayaks at the disposal of the more energetic; snorkels, masks and fins to enjoy the underwater beauty (as a guest once said- “It’s like swimming in an aquarium!”) and many signposted walking trails around the whole island for those who like to explore on land or bird watch. Kayak Africa also began a dive school in 1997, when Jurie Schoeman joined the team after completing five years in the French Foreign Legion. Rob Assad then joined Kayak Africa in 2002 and has been instructing and managing Frogman dive school ever since. Patrick Phiri has been working as a dive master for the last five years and qualified as the first Malawian dive Instructor in 2008. Kayak Africa expanded its operations to Madagascar in 1999 and Pierre Bester took over this side of things. Eventually the two companies separated. Marzi and Jurie then got together and had two children, Buji and Java, who live at the lake, speak fluent Chichewa and swim like fish. 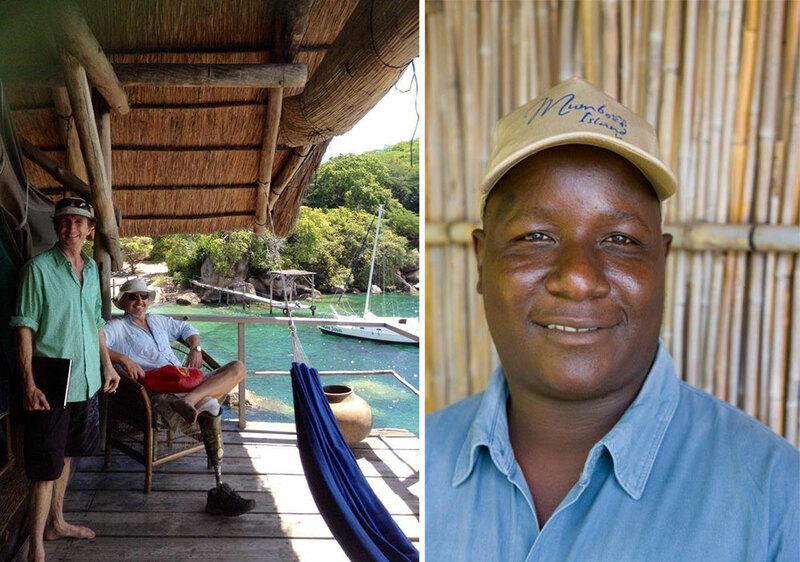 Jurie lost his leg whilst on expedition up the Mozambique and Tanzanian coast of Lake Malawi in 2004. He slipped whilst climbing a mountain and fell many metres, landing on his feet on a sharp rock. Edward, our head guide, was boatman on this trip and took Jurie right across the lake, a distance of at least 60 kms, in the tiny tender boat with a 15 horse power engine – an epic voyage of nearly four hours. Jurie was then airlifted from Chilumba village to Lilongwe and then back to South Africa, but it was too late to save his foot. He has not, however, allowed having a prosthetic leg to hinder him in any way and still dives, kayaks, cycles and runs our basecamp and building operations. In another tragic accident, Marzi drowned in the lake in May 2006. This was an unspeakably huge loss to Jurie and her children, to everyone who knew her and to the company. She had been an institution at the lake: a beautiful, vibrant and enormously creative woman, who could make an occasion out of anything and who infused the spaces she lived in and the islands under her care with her own vision of beauty. She painted all the intricately painted furniture and objects on Mumbo and Domwe and at Kayak Africa base camp, and it was her collections of frogs that inspired the visual theme of Mumbo Island. The logo was designed after her death, using a tiny motif of a frog which she had painted onto a cupboard in her office. It is a cheerful little figure and represents the carefree, brave and gorgeous woman who started the company. Kayak Africa is still run by Jurie and Clive and is proud to have promoted five of the longest standing Malawian staff to management positions within the company. 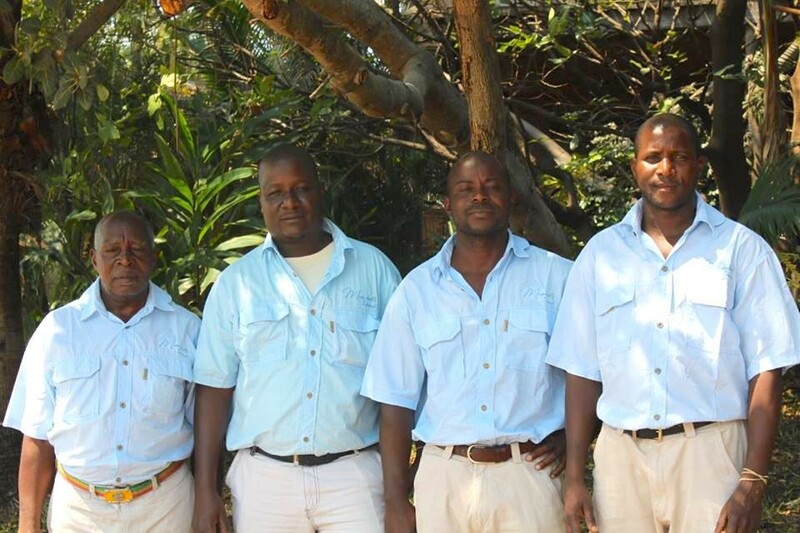 Joseph Kamanje is Guest Operations Manager, Edward Stefano is Head Guide, Sutha Tande is Stores Manager and Franklyn Nyirende is Staff Manager. Joseph, Franklyn and Edward joined in 1997 and are, along with our head housekeeper, Lyoness, our longest standing employees. These key staff memebers live in Chembe village and have worked their way up through the ranks of the company to attain the managerial roles they now hold. In their hands, everything can only go well! Providing the feminine touch these days are Renee Watson, Jurie’s new wife, who is a master pilates instructor, runs pilates retreats on the islands every year and offers a wonderful massage service on Mumbo Island when guests need pampering (Jurie and Renee had a daughter, Ella, a year ago so there are now three little Malawian children running around Kayak Africa! ), and Tracey Bester, Clive’s wife, who has taken over the creative aspect of the company: starting a little shop on Mumbo selling Malawian clothing and craft; designing the new staff uniforms and logos for Mumbo and Domwe and revamping the tent decor. We pride ourselves on our “Green Decor” : every cushion on the island has been covered with a fabulous array of chitenjes cloths from the local market. Marzi’s touch still prevails in all the hand-painted detailing and frog motifs. The decor work is all carried out by local craftsmen – the village tailor upholsters, the carvers carve all the bottle stoppers, ashtrays, mirror frames and the many little details which make Mumbo so special, the ‘beach boys’ make the bead jewellery, the island staff turn wine bottles into glasses: everything that can be is done on site or in the village. Kayak Africa also has two workshops: a woodwork one and a mechanical one, where all maintenance and building operations take place. Over the years, these have grown in capability and scale and the carpentry staff have recently hand built a catamaran named Miss Java and furnished the newest addition to the boat fleet: a 30 foot wooden boat which is the new Mumbo ‘ferry’, called Feersum Enjinn. 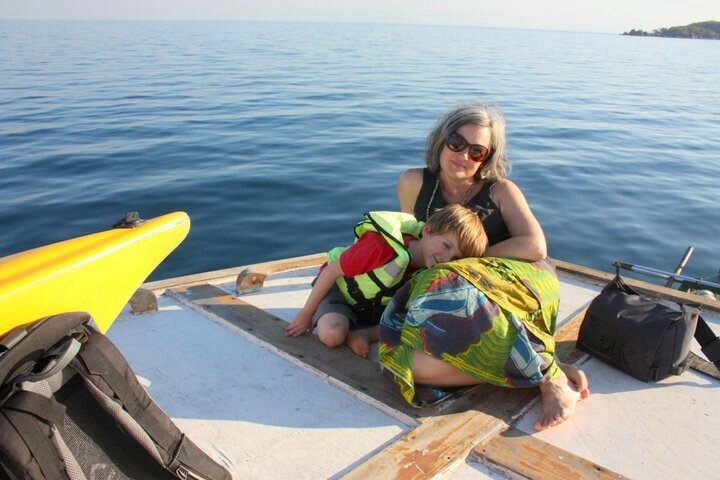 Feersum Enjinn’s maiden voyage was when she was hired by a film crew from the BBC to film the first deep-water footage of Lake Malawi in April 2009. So there it is: Kayak Africa’s story – one which, although it has its share of tragedy, is still full of hope, wonder and great achievements. We look forward to many more years full of great things. Indulge your Castaway Fantasy from the luxury of the private island camp on Mumbo Island and Domwe Island. Ideal for honeymooners, couples, families or groups of friends. For the sporty there is sea kayaking, snorkeling, SCUBA diving and beachcombing. Alternatively seek out a shady hammock or hideaway next to the water and just ‘time-out’. You decide! Malawi offers exceptional opportunities for active multi-sport tours through a secure and real African landscape. 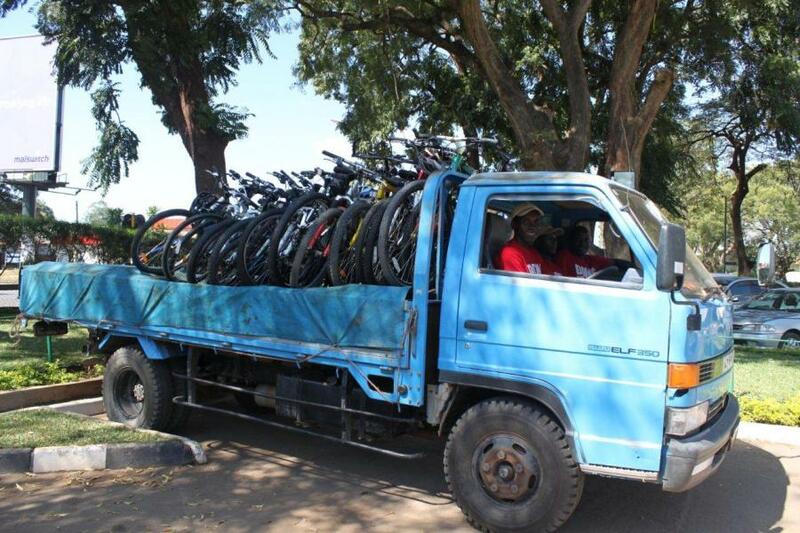 Mountain-bike the limitless footpaths and tracks that criss-cross the south-central African bush; hike the giant granite massif of Mulanje Mountain – at 3001m the highest peak in south-central Africa; then kayak among the islands and peninsulas of the Lake Malawi National Park. Sea kayak safaris and small-boat cruises to the places between the places that tourists normally go. Do not expect a hotel! That said, it is not about suffering. The boat-supported trips are for any camping enthusiast or inquisitive sort; while the kayak-only trips offer fit or experienced paddlers 250km of the real thing on the best sea-kayaking route in Southern Africa!